The best of 1950’s is back. Memphis, the 2010 Tony® Award Winner for Best Musical, opens at Bass Concert Hall on December 10-15 for a limited engagement, thanks to Lexus Broadway In Austin at Texas Performing Arts. It’s a bona fide hit. The critically acclaimed Memphis won four 2010 Tony® Awards including Best Musical, Best Original Score (David Bryan and Joe DiPietro); four Drama Desk Awards including Outstanding Musical, Outstanding Music (David Bryan) and four Outer Critic Circle Awards including Outstanding Musical, Outstanding Score (David Bryan & Joe DiPietro) and Outstanding Choreography (Sergio Trujillo). Now, that’s a musical winner. 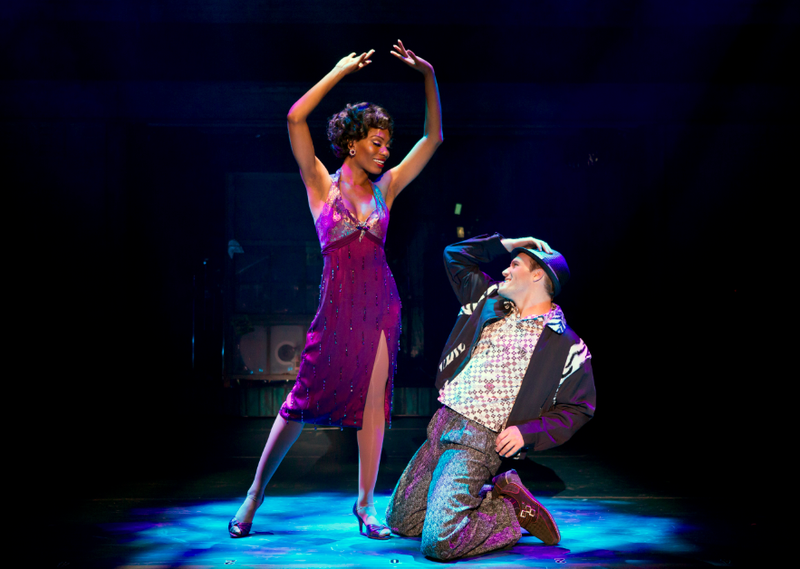 “Memphis is a Masterpiece!” exclaimed BroadwayWorld.com. The show takes place in the smoky halls and underground clubs of the segregated 50’s, where a young white DJ named Huey Calhoun fell in love with everything he shouldn’t: rock and roll and an electrifying black singer. Memphis is an original story about the cultural revolution that erupted when his vision met her voice, and the music changed forever and is filled with laughter, vibrant choreography and roof-raising rock 'n' roll. Adam Arian will re-create the original direction by Tony nominee Christopher Ashley (Xanadu), Jermaine Rembert re-creates the original choreography by Sergio Trujillo (Jersey Boys) and the show features a Tony winning score with music by Bon Jovi’s founding member and keyboardist David Bryan and lyrics by Bryan and Joe DiPietro (I Love You, You’re Perfect, Now Change), who also pens the musical’s book. Bryan and DiPietro also collaborated on the award-winning off-Broadway hit, The Toxic Avenger. Memphis is based on a concept by the late George W. George (producer of the Tony nominated Bedroom Farce and the film My Dinner with Andre). TEXAS PERFORMING ARTS is situated on the main campus of one of the largest and most prestigious research universities in the country; Texas Performing Arts serves The University of Texas at Austin campus and the Austin community at large through a diverse season of world-class fine arts performances, educational activities, and collaborative partnerships. Broadway Across America a leading Broadway producer and the foremost presenter of first-class touring productions in North America. See it December 10 - 15, 2013 on Tuesday – Friday at 8 p.m.; Saturday at 2 p.m. & 8 p.m.; Sunday at 1 p.m. & 7 p.m. at Bass Concert Hall | 2350 Robert Dedman Drive in Austin, TX. Tickets are available at http://www.broadwayinaustin.com, and the Bass Concert Hall box office, all Texas Box Office Outlets, by phone at 512.477.6060.